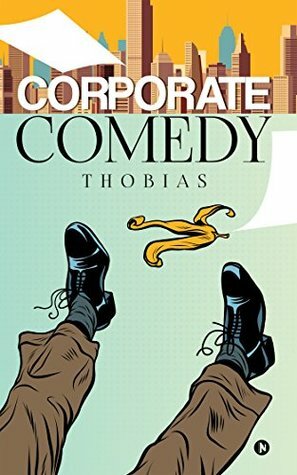 Corporate Comedy by Thobias is a crazy funny yet totally believable account of one man’s life in India’s corporate sector. His experiences that made up his professional career are so entirely funny and entertaining, you may not want to read this book in public. In some ways this book is extremely ridiculous in the things that take place in the corporate world. These people are frustrating and yet laughable. They seem like characters from a movie! Yet the whole point is the story of a man who climbs the corporate ladder and his experiences. It’s a profession many think would be a great one, but the realities of what this man went through makes the reader see it all in a brand new light. While this book is longer than some, it moves quickly. The story line flows smoothly and keeps moving at a quick pace. I like to laugh so it doesn’t take much, but I found myself laughing inappropriately loud and a bit embarrassingly, to be honest. I got some seriously weird looks from my own flesh and blood, I can only imagine if I would have been trying to read this somewhere more public, like the bus or at the park! I wouldn’t have been able to help myself. I ended up reading this book in one quick weekend. Corporate Comedy by Thobias can be considered a comedy biography burrito. It’s both things all wrapped up in a warm outer shell. I truly felt myself feeling sorry for those in the corporate sector that are the middle man. Those that end up having to travel and be away from their loved ones. I used to think all that traveling would be fun, but in a way this book made me see it in another light. I am not quite sure how these people can manage to do it all. I loved the descriptions of some of the locations and characters. They weren’t too wordy and overwhelming as some books do but are good enough that you can really visualize the character or location. I also loved how you would find yourself cheering for the main character. When he gets to the point where he stands up for himself I found myself rooting for him to really say how he feels! These people are so ridiculous at times I almost couldn’t deal with all of it! It may be set in India but the situations and interactions could be in any corporate building located around the world. I really think that I will start seeing those busy men and women in a whole different light than before. It’s no wonder these people seem like totally unrelatable people by the time they reach a higher up position. If you enjoy quirky workplace comedies then you will absolutely enjoy Corporate Comedy. It’s hilarious and truly enjoyable from the start.